It is used for blowing various plastic film of low density polyethylene (LDPE),high density polyethylene (HDPE)and linear low density polyethylene(LLDPE)etc., Which are Widely used for food, textiles, and daily necessities such as the packing industry and export packing and industrial packing. screw and barrel are made of 38CRMOALA high quality alloy steel after fine finishing and nitrogen treatment, which has high hardness, strong resistance to corrosion, durable service.The auxiliary machine has a platform table, make the operation more convenient, also equipped with air bubble . 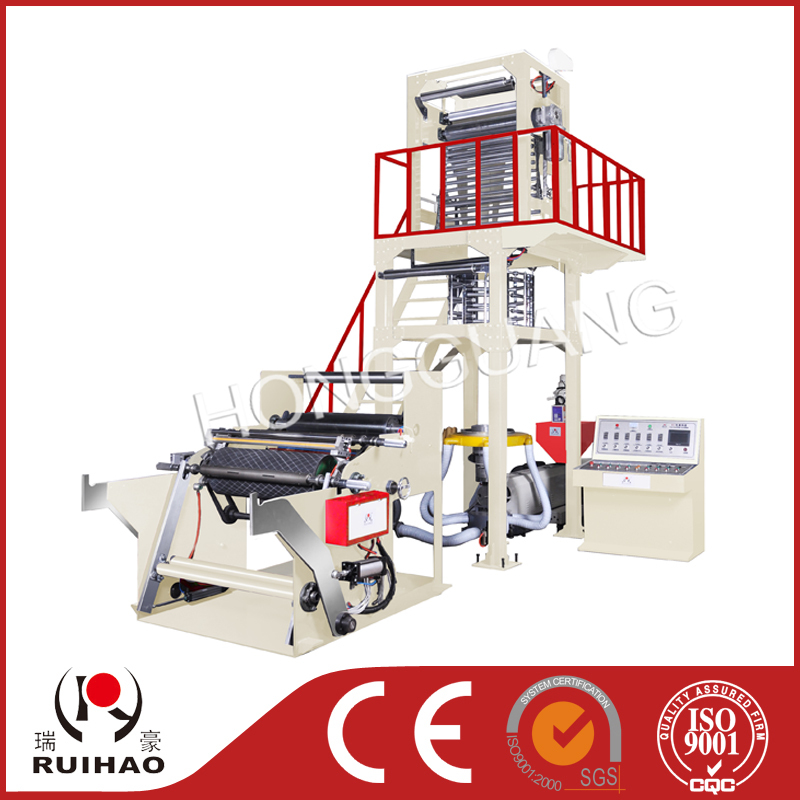 automatic double winding and its power by worm gear motor, inverter adjust speed, PLC control, keep proper tension and neatly winding, winding change easy.